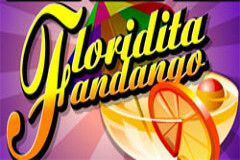 Named after a famous bar in Havana, Floridita Fandango is a cocktail-themed online pokie from Microgaming that features classic symbols, jackpot wins and the wagering options that can result in higher payouts. This is a classic 3-reel game that has just a single payline and winning spins come from the right symbols coming to a rest across it. Graphics are what players would expect from this type of game, namely pretty basic, simple renderings of various cherry and Bar symbols, flat colours and an unfussy layout. It’s not for everyone, but it’s been designed to appeal to players who like a certain type of game, and this one fits the bill exactly. Floridita Fandango follows convention in layout as well, with reels and the logo taking up one side of the screen and the paytable taking up the other. 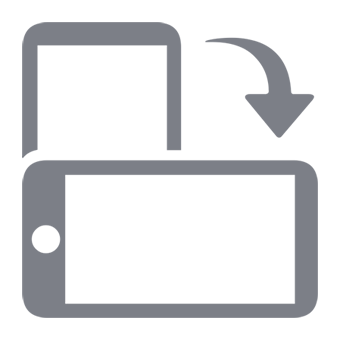 The standard Microgaming control buttons are used to set the size of wagers, with coin values that can be 0.25. 0.50. 1.00, 2.00, 5.00, 10.00, 20.00 or 25.00, and then on top of that, players can opt to use 1, 2 or 3 coins for a maximum bet size of 75.00. The paytable will show what wins can be expected for each combination of symbols, and for each number of coins activated, although with the exception of the jackpot, the amount won is in the same proportion no matter how many are used. The traditional bar symbols come next up the scale, and should any single, double or triple bar combination land across the line, players get a payout of 5x, and should the line be filled with the same types, then the prizes are 10x, 20x and 30x respectively. That’s all of the classic icons that numerous pokies feature, so it’s on to the symbols specific to this game, which simply consist of two different cocktails, one with a slice of lime in it, one with a slice of orange. Landing any combination of these on the line brings in a prize of 40x, with the lime cocktail on its own being worth 80x. The orange cocktail works slightly differently to any other symbol. It’s the highest paying one, with 500x the bet being won if just a single coin is in play, and 1000x if 2 coins are activated. However, if players are spinning the reels using all 3 coins, then instead of the 1500x prize that would logically follow on with the pattern, there’s a 2500x jackpot prize to be claimed. So this means that rather than having high coin values and just using a single one, it’s worthwhile playing with all 3 and then adjusting the amount of each to suit your bankroll. Of course this only makes a difference if the jackpot combination is struck, which isn’t going to happen too often, and anyone with a smaller budget may just want to stick to low bets and forfeit the chance of getting the maximum payout. This game really is about as basic as online pokies get, with the 3-coin jackpot being the solitary special feature. Graphics are really nothing to get excited about, and because the same payouts have been seen in several other Microgamig pokies it’s not hard to imagine someone at the company knocking this game out in an afternoon. Still, if the simple imagery appeals, and games where spinning the reels and waiting for wins to come up are what you are looking for, there’s nothing actually wrong with this pokie.